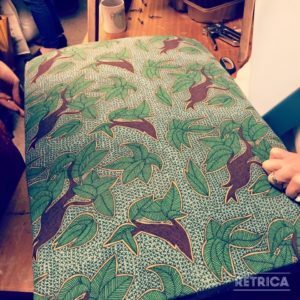 We’ve been enjoying running our new run of Masterclasses over the past month, and we particularly love when we see the finished products made with the skills gained! 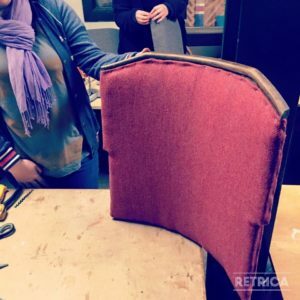 We kicked off with another Upholstery Skills Masterclass, and had a great range of projects worked on by the attendees, including a 1920s folding cinema seat, which ended up recovered in a gorgeous red and pink herringbone wool. 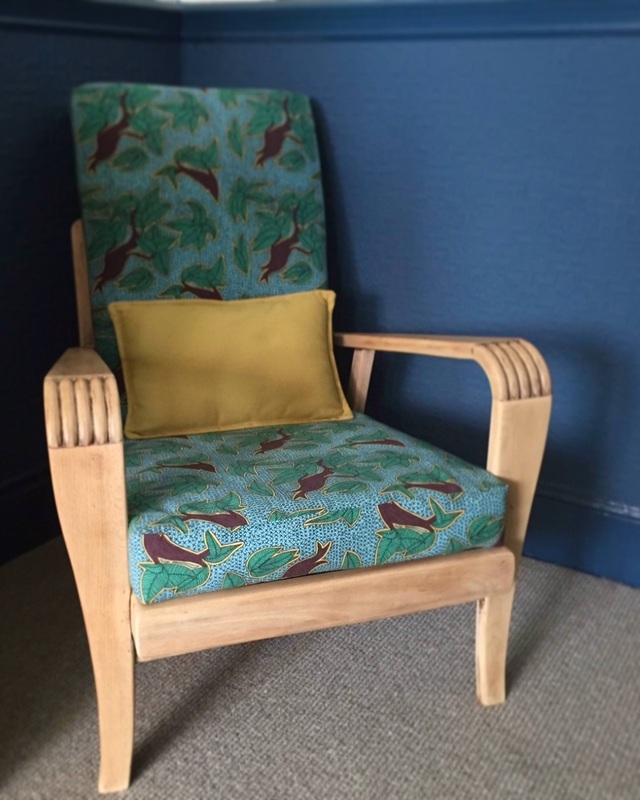 We don’t often get to see the finished article in our upholstery classes, as it takes affair few hours to finish a chair, so we were really pleased to be sent an update on a lovely art deco chair covered using some fantastic Ikea African print fabric. 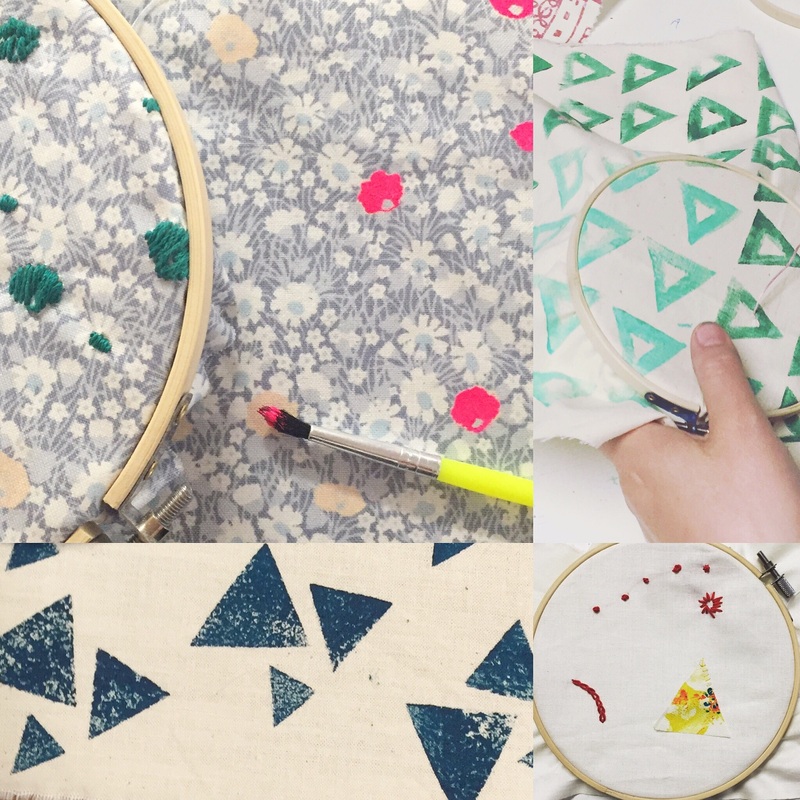 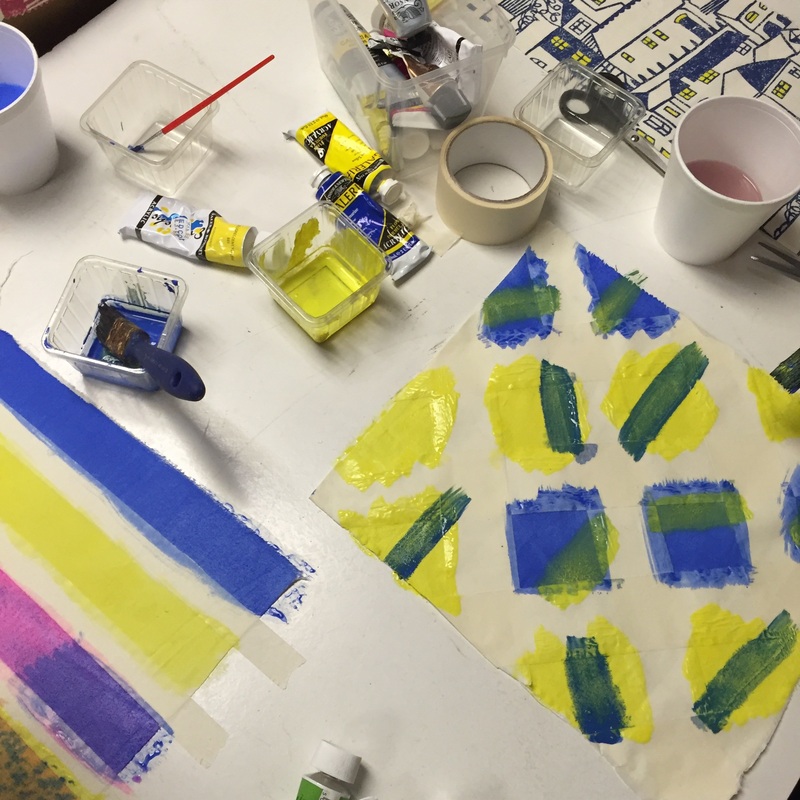 The second Masterclass we ran was our Creative Fabric Décor class, which was a few hours of playing with pattern and colour, and exploring the creative possibilities of fabric! 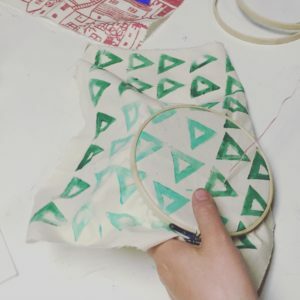 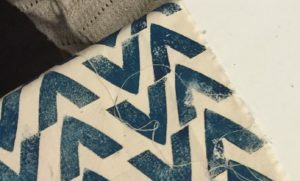 We started by using paint to pick out elements of patterned fabric, and then used simple embroidery to do the same; its a really easy way to make a custom colourway in a fabric you already have. 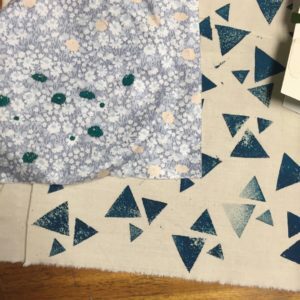 Having worked with the composition of patterns while “colouring in” we then set about making our own repeat patterns using handmade foam stamps, and we were all very fond of triangles! 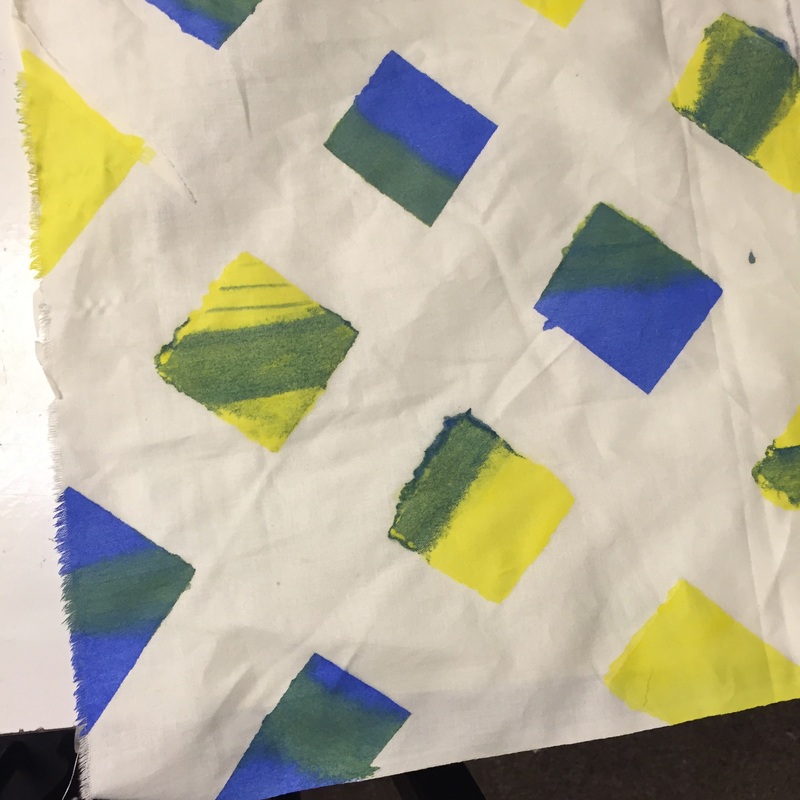 Another fun technique is watercolour style painting straight onto the fabric, and we added extra interest by masking off areas to create pattern. 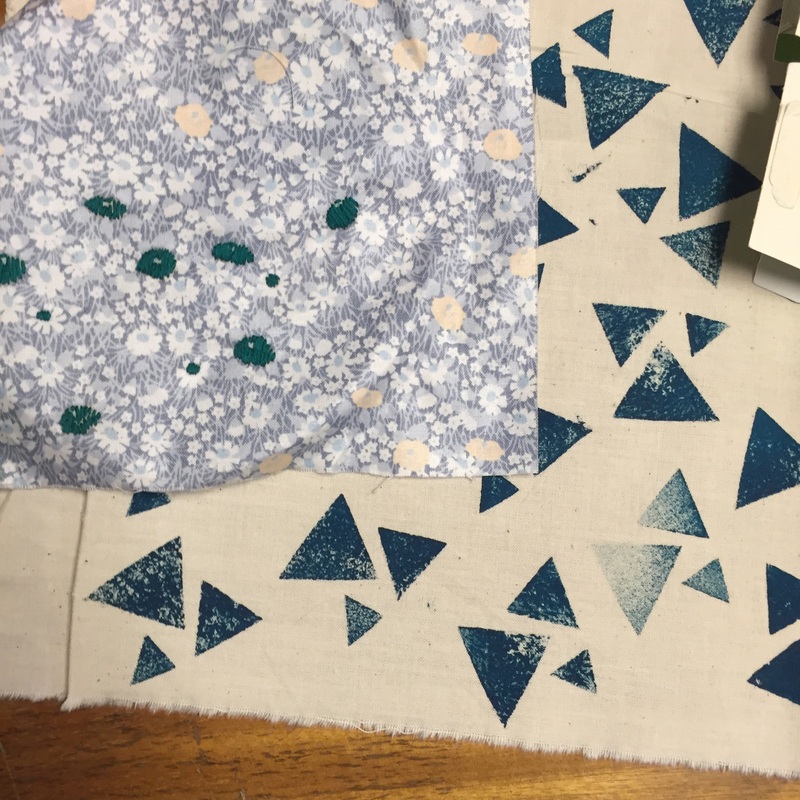 This replicates the resist dye method of fabrics like batik and wax cloth. 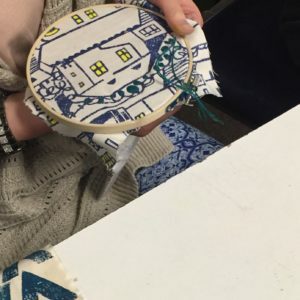 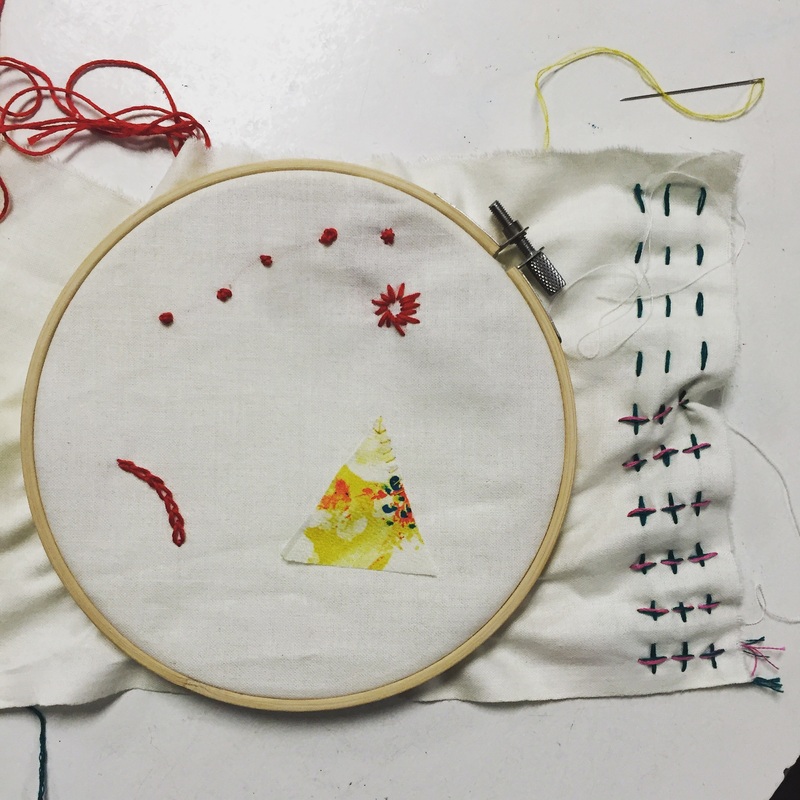 We finished off the class with some needlework, using traditional embroidery and applique stitches to create samplers with a modern graphic effect. Hopefully this little recap will be as inspirational as our classes and open up a world of fabric based possibilities!